Buddies are not essential for a safe dive. On the contrary, buddies often increase the risk of a dive, either directly through unpredictable or unreliable actions, or indirectly, through an unfounded belief that security is enhanced by numbers alone, regardless of the training or state of mind of the buddy. 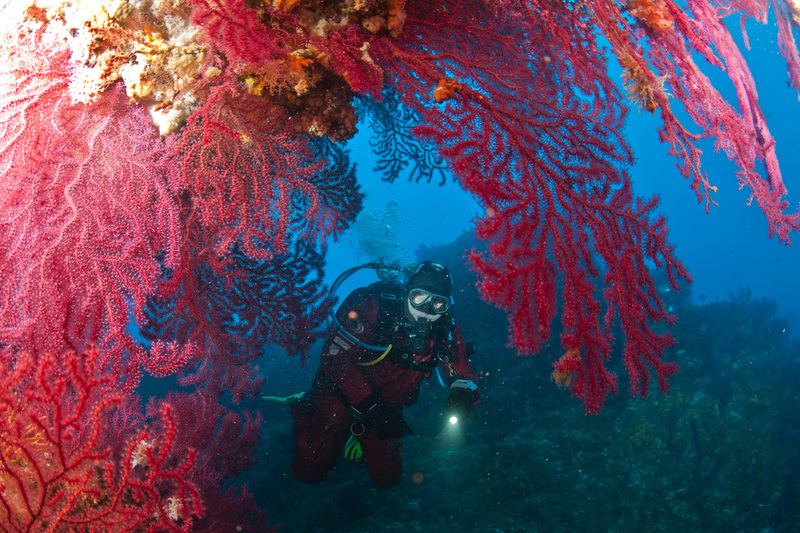 In most instances, a competent solo diver would be much safer than the average buddy dive. I’ve been an active diving instructor for 20 years, and a professional sport diver for 13 years; I’ve made over 5,000 dives and have personally supervised—without serious incident—over 90,000 dives. During this time, I’ve seen buddies that were incompatible either through interest of ability; buddies that spent their dives looking for each other; divers dependant on their buddies; divers who claimed to be buddies on the boat, but who ignored each other in the water; buddies who failed to communicate; buddies who fought in the midst of a dive; and divers who failed to recognize distress in a buddy, let alone attempt to assist. This last situation brings up a vital point. The buddy system implies that divers will be able to recognize a problem with their buddy and do something about it. Most are never put to the test, but experience indicates that if they were, many would fail. An analysis of diving fatalities in Australia and New Zealand over the past ten years found that 45 percent of the fatalities involved buddies who were separated by the fatal problem or who were separated after the problem commenced. Another 14 percent stayed with the buddy, but the buddy died anyway. Just being together is not enough. From these observations, I’ve concluded that the buddy system is mostly mythical. It is unreasonable, unworkable, unfathomable, and unnatural. Rarely—very rarely—I see a couple who buddy dive as the ideal. In my view, most diving today is, in fact, solo diving, even if the divers claim to be buddy diving. Unfortunately, because it is taboo, most divers have had no specific training to qualify them for such solo diving. How did we get ourselves into this mess? I am told that the “never dive alone” rule originated with the YMCA “never swim alone” program that was popular when dive instructor agencies were just getting going in the late 1950s. Why has the rule stayed with diving? Undoubtedly, because people are nervous about being out of their natural breathing element and at the mercy of the monsters of the deep. Fear is the motivation for the buddy system. Divers do not want to be eaten. There is nothing strange in this fear; what is strange is the response to it: get a buddy. There is an old joke that the buddy system reduces the chance of getting eaten by percent. Regrettably, the divers that repeat this joke are often serious. Instead of finding out about real behavior of marine creatures, or developing fail-safe scuba gear and a back-up breathing system, the diving community has opted for the comfort of having a buddy. Many divers choose a buddy simply because they are alarmed at being alone, and not because there is a possibility of the buddy actually assisting in an emergency. Unfortunately, few people defending the buddy system seem to address the critical point of whether it does, in fact, make diving safer as intended. Since the introduction of the buddy system 30 years ago, a large body of divers has developed who have made careers out of sport diving. These people must now look to their experience to decide whether or not the buddy system has worked, or whether it should be modified or even abandoned. All diving involves risk. As soon as you step near a full scuba cylinder you are at risk. And every step that you take getting on and into the water increases your risk. In fact, there is an escalating scale of risk as dives become more complex. In general, the risk of a certain dive is a function of the technical requirements of the dive and the environmental conditions. It has nothing to do with the diver. In theory, we should be able to grade every dive for its risk factor. However, this is difficult in practice. Though many a cave dive have been graded, ocean dives are another matter. Ocean conditions, being variable, may make a dive low-risk one day and high-risk the next. Nevertheless, an accurate assessment of the risk factor for any dive must be made before the dive is attempted. This is why experience is so valuable and why risk assessment is a critical duty of dive masters and instructors. The actual danger posed by any particular dive depends on three factors: first, the dive itself—the risk factor; second, the diver attempting the dive—the skills available to overcome the risk; and third, the buddy—the wild card—who may make the dive less or more dangerous.